Defense leaders hailed the commitment and accomplishments of departing commander in chief President Barack Obama in a formal military ceremony as he closes out his presidency. 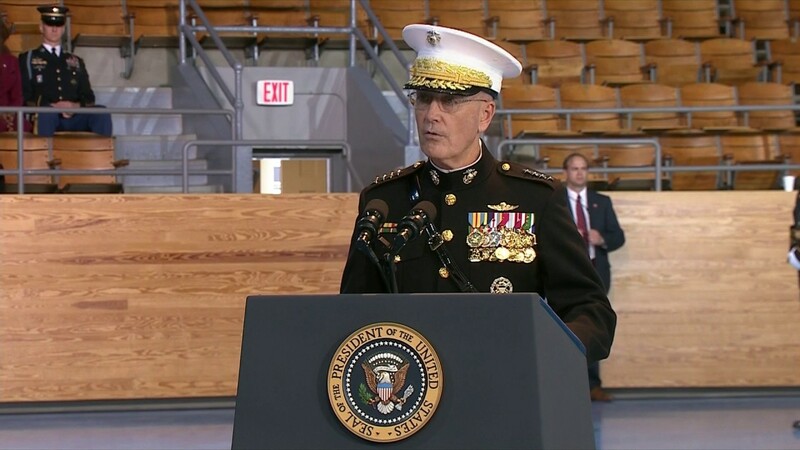 Defense Secretary Ash Carter and Marine Corps Gen. Joe Dunford, chairman of the Joint Chiefs of Staff, hosted the armed forces full honor review farewell ceremony today at Joint Base Myer-Henderson Hall, Virginia. Vice President Joe Biden was a guest of honor. "I can stand before you today and say that there has been no greater privilege and no greater honor, than serving as commander in chief of the greatest military in the history of the world," Obama said. 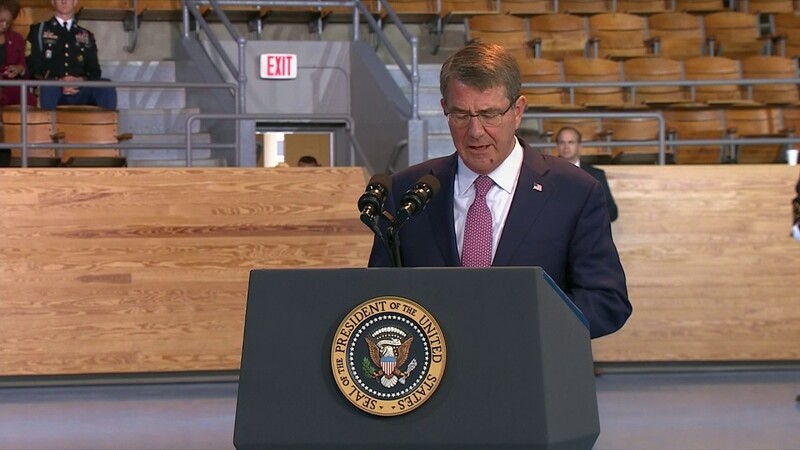 Carter and Dunford thanked Obama for his commitment to the troops and lauded his strategic leadership and decisions that protected the nation and strengthened the force. "Through it all, President Obama has led our military with an appreciation that America's defense is so vital that we, to whom it is entrusted, must ensure its continuity and excellence across the years and across the domains of armed conflict," Carter said. In the fight against the Islamic State of Iraq and the Levant, the president consistently supported the development and acceleration of the coalition military campaign plan, the secretary said. That effort, Carter said, is "focused on destroying the fact and the idea of an Islamic state based on this evil ideology in Iraq and Syria, countering the ISIL cancer's metastases everywhere they emerge." Obama directed eight years of "unrelenting strikes on al-Qaida to devastate that terrorist organization both before and after bringing Osama bin Laden to justice," Carter said. Obama has built a counterterrorism apparatus that has thwarted "countless plots" against the homeland, according to Carter. The president, Carter said, did all this consistent with the values of the United States. "Our president knows, as he's put it, that we lose ourselves when we compromise the very ideals we fight to defend," the secretary said. Other notable achievements as listed by Carter include the rebalance to the Asia-Pacific region, standing with NATO allies to lead a united response to deter Russian aggression, and securing an accord that is preventing Iran from acquiring a nuclear weapon. Dunford, the highest-ranking U.S. military officer, noted the United States has been at war throughout Obama's presidency. "That's a period longer than any other American president," the general said. "And throughout those years, you've always been there for us." Dunford said the president visited deployed troops around the world, spent time with wounded warriors, traveled to Dover Air Force Base in Delaware to receive the remains of the fallen and visited the fallen at Arlington National Cemetery in Virginia. "Mr. President, thank you for being a commander in chief that we have been proud to follow," the chairman said. 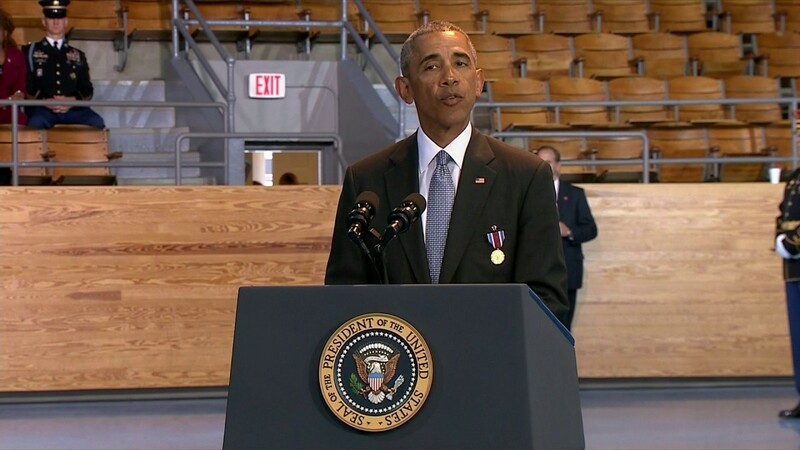 Military members have selflessly served and sacrificed around the world, as they protected the nation in the best fighting force in the world, Obama said. Through their service and sacrifice over years of continuous conflict, they have earned their place among the greatest generations, the president said. "Because of you, our alliances are stronger, from Europe to the Asia-Pacific," Obama said. "Because of you we surged in Afghanistan, trained Afghan forces to defend their country, while bringing most of our troops home." Now U.S. forces serve in Afghanistan on a more limited mission, Obama said, "because we must never again allow Afghanistan to be used for safe haven in attacks against our nation." The president praised U.S. military members, including Special Operations members, for decimating al-Qaida’s core leadership. The president said has no doubt that ISIL “will be destroyed” due to the efforts of the U.S. and its coalition partners. Women can now serve in military combat roles, Obama said. In addition, service members do not have to hide who they are to serve the country they love. During the ceremony, the president reviewed the troops from the five military branches, and received from Carter the Department of Defense Medal for Distinguished Public Service. The event featured a 21-gun salute, and music from the U.S. Army Band “Pershing’s Own” and the Old Guard Fife and Drum Corps. Earlier today, Obama expressed his gratitude for the counsel of the defense leaders and the work of the men and women of the military, as he met at the White House with Carter and Dunford, as well as the vice chairman of the Joint Chiefs of Staff, Air Force Gen. Paul Selva, and the combatant commanders.